Below are just a few of the quilts that I have entered and won ribbons for in both local and major quilt shows across the country. I hope you enjoy! 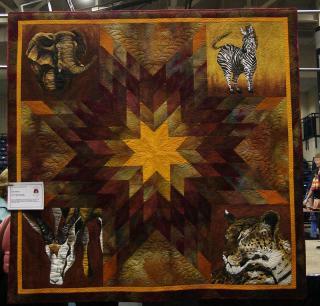 This is the first Quilt I ever entered into a Major Quilt Show! 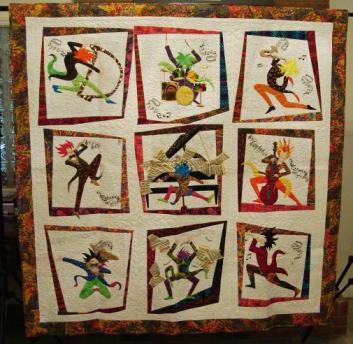 This quilt was created as the 2009 Challenge quilt for Cabarrus Quilters Guild and will be featured in the 2011 Calendar for the Month of Jan. 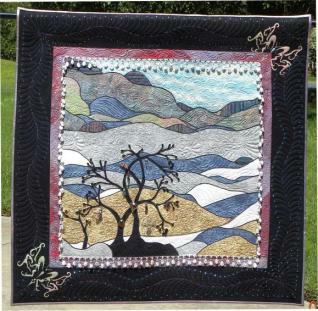 Although this was done as a challenge quilt my personal inspiration for the quilt was in memory of my son Jason - The quilt was based on a dream/visitation I had with Jason shortly after he passed away in Aug 08.